Coffee is actually very healthy for you! It is loaded with antioxidants and beneficial nutrients that can improve your health. Studies show that coffee drinkers have a much lower risk of several serious diseases. Caffeine also helps to burn fat and is found in almost every commercial fat burning supplement? There’s a good reason for that… caffeine is one of the very few natural substances that have actually been proven to aid fat burning. Coffee also contains several important nutrients, including Riboflavin, Pantothenic Acid, Manganese, Potassium, Magnesium and Niacin. Drink up! Did you know that coffee grounds for your garden is great for compost? You can also use it to spread it around your flowers for extra fertilizing. 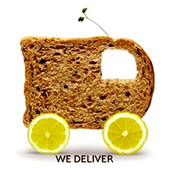 © We Cater Offices.com 2015. All Rights Reserved.